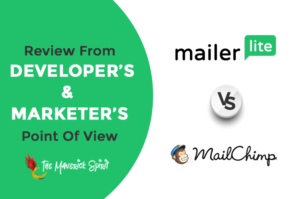 Before sharing my thoughts on the Mailerlite review! 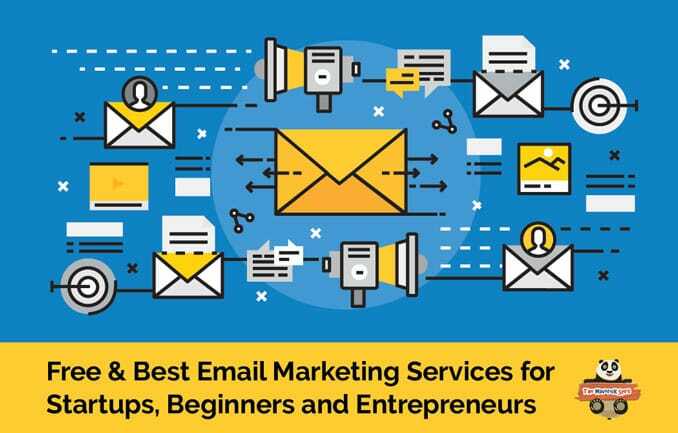 How many of you think email marketing is not required as you are just a beginner or a startup? Required. Right? For every small business to grow, gaining a targeted audience is really important in order to collect leads and build stronger relationships. One major way to gain a targeted audience is by email marketing! Email marketing is not only one of the cheapest ways of marketing to target the right audience but is also preferred by customers over phone calls or other means. There are many marketing tools available that allow you to create and manage emails for your business. However, most of them are quite hard for beginners to get used to especially when it comes to design or send plain emails. 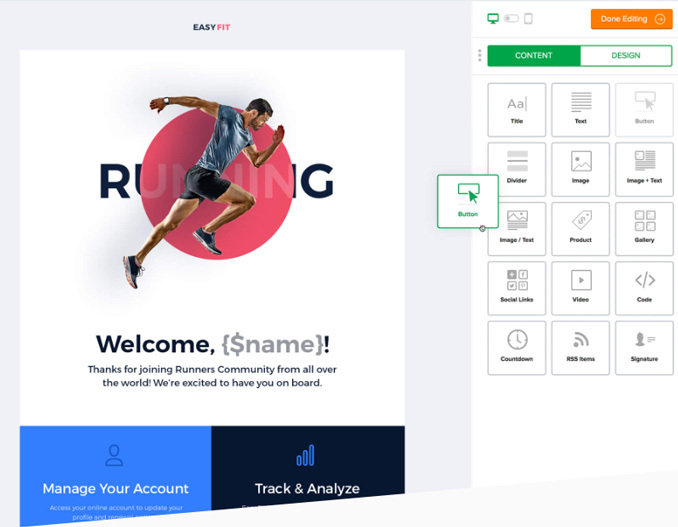 This is where the MailerLite Email Marketing platform KICKS IN..
MailerLite is an easy-to-master email marketing automation platform which is specially designed for bloggers and entrepreneurs. MailerLite is absolutely free and there is no need of providing any sort of payment information when you create your free account. The signup process is simple and takes only about 2 minutes. The only limitation with a free MailerLite account is that you can only add up to a maximum of 1000 subscribers in your free account. *** There is only one difference in the free plan – that is – you cannot remove MailerLite logo attached at the end of your newsletters. Wherein, in a paid plan, you have the access to remove it. Try MailerLite Forever Free Plan! 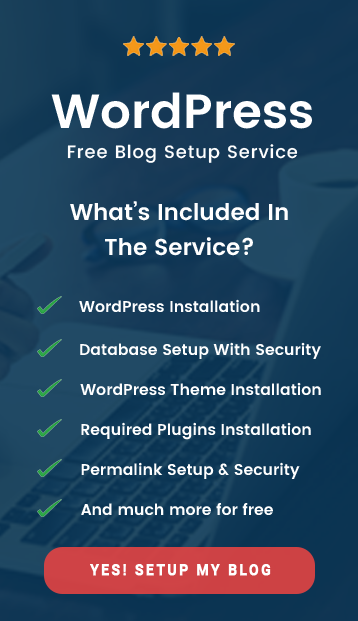 All account types, regardless of whether free or not, has access to all the premium features provided by MailerLite like Automation, A/B testing, Auto Resend and more. Unlike other email marketing platforms out there, MailerLite does not ask for any extra amount from users to unlock the premium features available on the platform. After crossing the 1000 subscriber mark, you will need to migrate to a premium account to keep adding subscribers. However, upgrading to a premium account will not break your bank as MailerLite has one of the most competitive pricing for email marketing tools out there. – and extends to $140 per month for 45,001-50,000 subscribers. Another reason why MailerLite is the best email marketing automation service for beginners is that it allows users to send unlimited emails. Unlimited emails are supported even for the free account. Another highlight feature of the MailerLite platform is its user interface. The MailerLite platform is designed really well and is quite fast in terms of loading. All the features are easily accessible and placed conveniently. Overall, the user interface of MailerLite is designed with beginner email marketers in mind and thus helps them to learn the functionalities provided by MailerLite easily and complete tasks quicker. Sending welcome email to new subscribers will give them a positive feel and will also give a professional touch to the service or website you run. The ability to send welcome email is a paid service on many other email marketing platforms. However, in the case of MailerLite, an unlimited number of welcome email can be sent even using a free account. 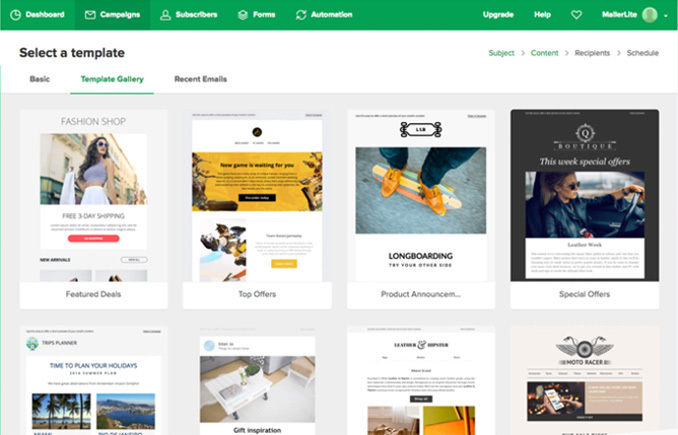 Moreover, the templates available for welcome email are also really impressive and modern-looking. Customer support is a great deal especially for beginners in email marketing. The customer support infrastructure of MailerLite ranks among the top for email marketing tool and they also have a very high rate of customer satisfaction. The 24/7 customer support offered by MailerLite has highly skilled and professional executives. Another great point is that the average waiting time is below 5 minutes at any time. Automation is a very important feature of any email marketing platform. Most of the email marketing platforms offer automation tools only in their most expensive plans whereas email automation tools are available for free in MailerLite. 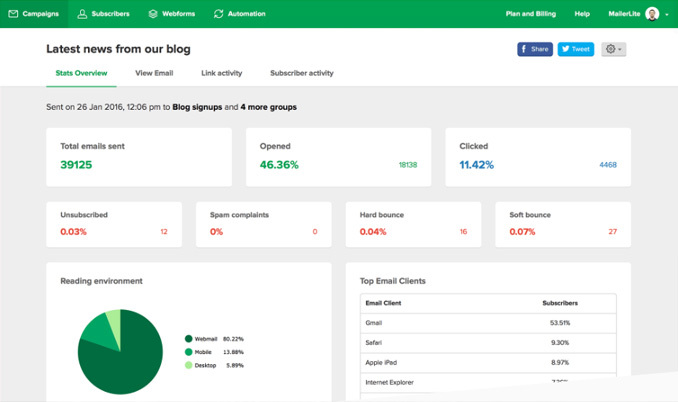 MailerLite offering email automation tools for free has now forced other email marketing platforms to offer email automation tools in cheaper plans and even for free. Majority of people use their mobile devices to check emails these days. And going forward this trend is only expected to grow. To equally cater to mobile users as well, all emails designed using MailerLite are 100% mobile-friendly. 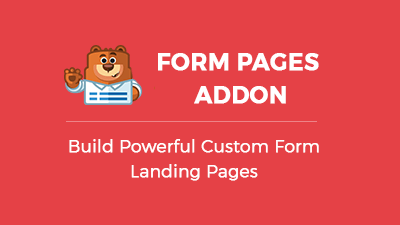 The attractiveness of signup forms and landing pages are really important to turn all of your website visitors to email subscribers. Thanks to MailerLite, you will no longer have to use other complex tools to create signup forms and landing pages that can attract your website visitors. MailerLite has a collection of cool-looking signup form and landing page templates that are appealing to the eyes and at the same time quite easy to apply as well. MailerLite features a very simple and easy to use email editor which makes the process of creating and editing emails hassle-free. The email editor also features all the basic tools that are needed and the layout of the tools are also easy to master. The drag and drop feature supported by MailerLite makes it easier to add elements such as buttons, videos etc. to your email without having to know any coding languages. Even though MailerLite has a drag and drop interface that helps in creating the perfect email without having to any coding language! But, if you do know HTML then you can add your own piece of code and bring the email design to your level of perfection. The huge customer base of MailerLite definitely shows the efficiency of MailerLite. The platform currently has over 460,000 active users from around the globe. MailerLite allows users to upload an unlimited number of images without charging any extra amount to their MailerLite account which can then be embedded in emails. Having an unsubscribe page for your email subscribers will make the process of unsubscribing from your email list easier for people. 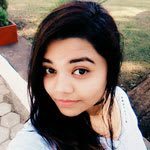 Moreover, it will also help in collecting maximum feedback related to why the person chose to unsubscribe from your email list. MailerLite offer users to build unsubscribe pages for free and also collect the information required by the user. 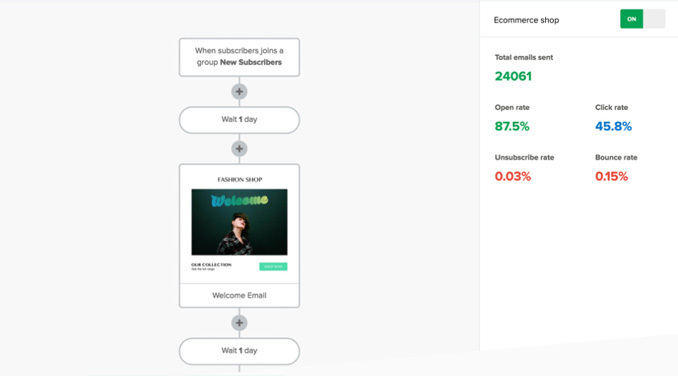 MailerLite offers users to perform A/B testing on their subscribers by sending two slightly different formats of the same email to two groups of subscribers. The best format can then be chosen depending on the open rate and conversion which can help improve the reach and conversion of your email campaign even further. Once you send out an email to your subscribers, MailerLite also offers you with details on your email campaign. The details include information like activity on embedded links, unsubscribe count, bounce rate, spam listings, and more. You can use this insight data to improve your email campaign in the future. Using the email address of your subscribers, you can get publicly available data about them from their social media profile. Analyzing your subscribers in this manner is not illegal as all the data are available publicly. Moreover, it will allow you to find a more targeted audience for your email campaign. 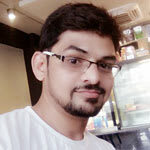 The mail servers maintained by MailerLite has a good amount of reputation as a result of which emails will never land in the spam folder your email recipients. To help beginners even further, there are video tutorials available within the MailerLite website related to almost each and every function that you can perform in the platform. Busy enough that you don’t have time to send blog updates to your website’s readers? Don’t worry! Coz Mailerlite’s RSS to email feature handles the task amazingly. It automatically sends a blog post to your email subscribers. Just fill in your RSS feed URL and you are done! You can use the default template of Mailerlite for RSS which includes plain text or rather design it using drag and drop email template. As I have already mentioned, MailerLite is one of the best email marketing platforms for anyone who is getting started in building their email subscribers. 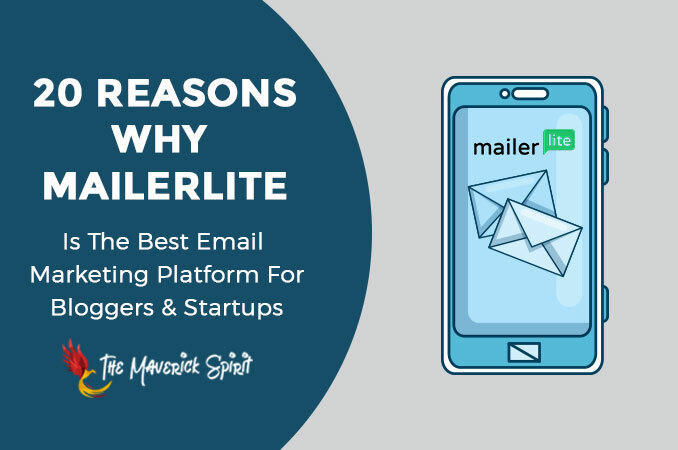 The main highlight of MailerLite is that it is free for everyone with all premium features unlocked and users only have to start paying after reaching 1000 subscribers, after which they should most likely be making revenue out of their email subscribers. 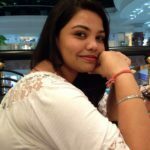 What Made us Switch to Mailerlite? Review From developer’s & Marketer’s Point of View! 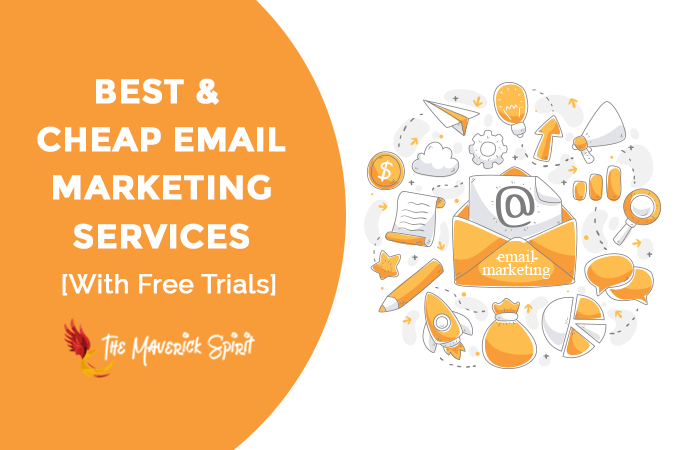 Free Email Marketing Services For Every Startups To Keep Their Visitors Engaged!! SEOprofiler Review- Complete SEO Tool to Improve Your Google Page Rankings! Infolinks Review – How to Make Money from Your Blog with In-Text Advertising?